Look like Samsung is pulling an HTC. 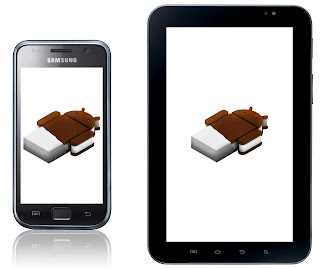 In a complete 180 degree turn, they have now announced that they are investigating ways into making ICS + TouchWiz "fit" into the "limited memory" of the Galaxy S and Galaxy Tab. No paint us a bit skeptical when we hear "fit" because even the smallest Galaxy S variants with 1GB of nand flash memory should be enough for the upgrade not to mention many models of the Galaxy S and the Galaxy Tab have 16+GB of memory. That being said we are glad to see that ICS is being considered.